We tested and reviewed the Best Skimboards For Beginners - Here are our top picks. Surf’s up! 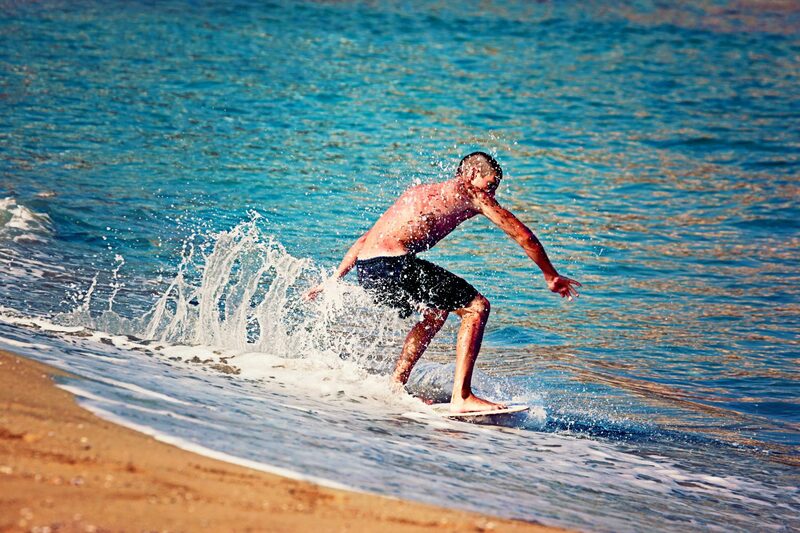 Well, sort of… Skimboarding is like small-scale surfing on smaller, finless boards. 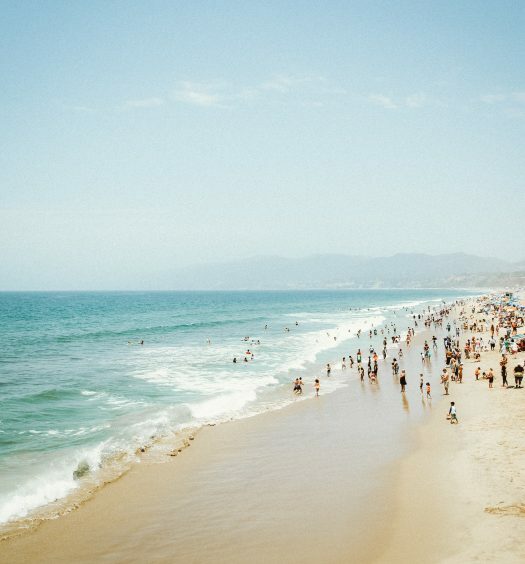 It was invented in the 1920s by lifeguards of Laguna Beach and revolves pushing a board onto the surface of the water near the beach and running onto it to catch the breaking waves. Skimboarding is very easy and fun, and the equipment isn’t too expensive, making it quite popular among the folks who aren’t up for surfing in deep waters. Now, like surfing, you need a board – but what kind of board? 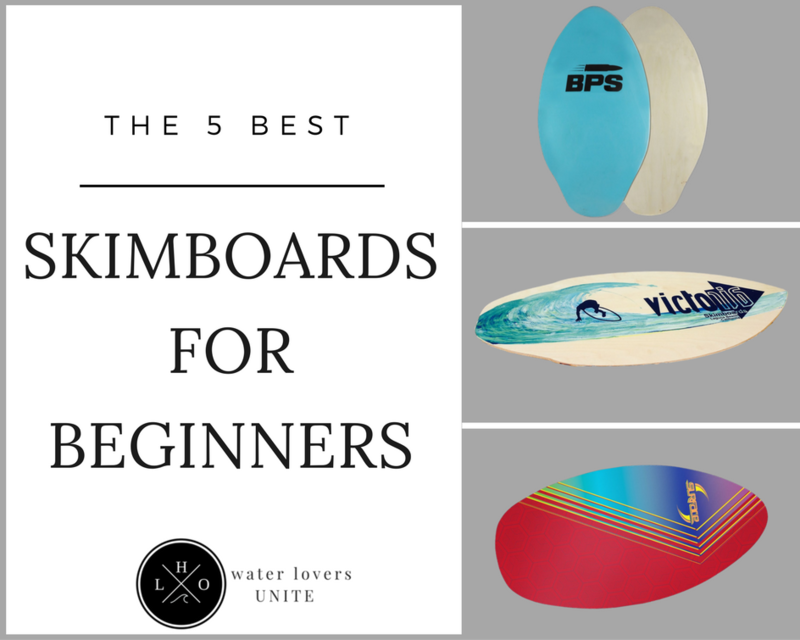 And what are the things to consider when choosing the best skimboard for beginners? 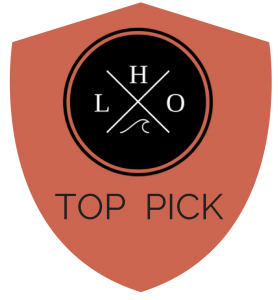 Well, worry not as we have an awesome list of boards, but first a short list on what you should look for when buying a skimboard. Material: It is very important to consider materials the board is made of. The most common materials used are foam and wood, but there are also boards made of graphite, carbon fiberglass, and kevlar. As a beginner, you might want to opt for wooden boards since they’re cheap and effective. The foam models are fine too; they’re light and deliver excellent performances on the waves. As for the wooden boards, these are less durable than foam model and can break more easily when the waves hit them. Overall, they’re mostly used for inland skimming (skimming on rivers and lakes). Board Style: There are two primary styles – flat sand boards and wave boards. Flat sand boards are used for skimming closer the beaches and spending extended periods of time in the water. Wave boards, on the other hand, are better for catching and riding waves. There is not a whole lot of difference between the two and it mainly concerns the curve of the board and the bottom of the board. For beginners, the best choice is the flat sand board, as the item’s flatness and extended width secure extra stability. Let’s take a look at these five best skimboards for beginners. Dig in! 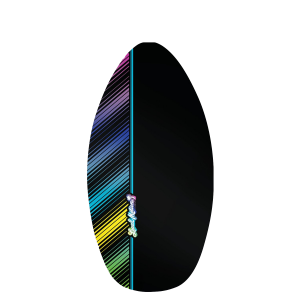 As one of the best boards for beginners, the Gator Skimboard encompasses all the characteristics we have mentioned above with the first item. One of the factors that stand out here is durability, as the board utilizes plywood construction with an epoxy coating, reeling in extra protection from breakage and water damage. The product also features a Gator Grip Eva foam layer to make it less slippery – once again a nifty addition for all you newbies out there. 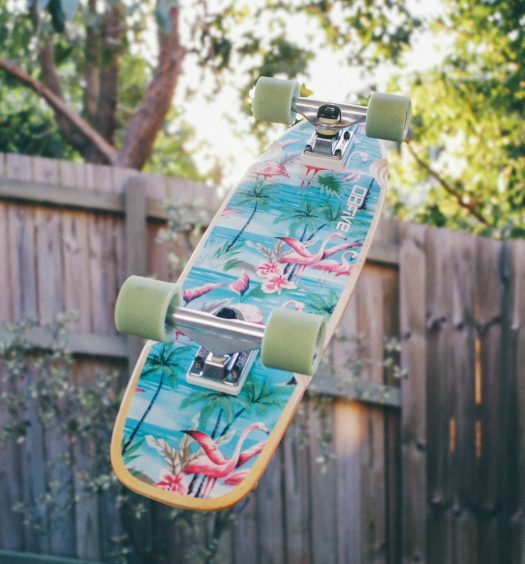 As for the size, you are given the option of choosing a custom board to accommodate your weight and height, which is quite nice. The board comes with a full-year guarantee to ensure the quality of the product and as a perk, BPS will keep in touch with you until you receive the shipment. The company will send you e-mails to check whether your shipment has arrived on time and in perfect order. If the company does not contact you, you will be given a $50 credit, which is once again quite nice. Light, cheap, yet sturdy and reliable! These are the top qualities a beginner’s skimboard should have, and this Wave Rebel Skimboard has them all. The board is made of wood laminate that’s light but sturdy as a tank, offering you countless fun rides in years to come. The board is 20 inches wide at its widest point and has a tail width of 12 inches. This makes it stable and strong on the water, just the thing you want as a novice rider. The board is very flat too, thus increasing the stability factor. The item is fit for skimmers weighing between 110 pounds and 160 pounds, making it highly versatile. Needless to say, exceeding the weight limit will make the board unstable on the water, and it may cause it to sink from underneath you, so don’t do it! 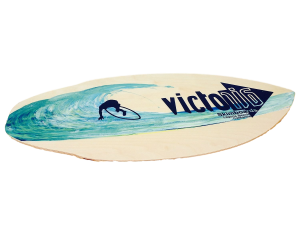 As the name suggests, the Victoria Woody Skimboard is made of wood, making just t a tad heavy. But, as we mentioned, this also makes it much cheaper than professional foam boards, and thus a great purchase for a beginner skimboarder. Note that the item comes in two sizes – small and large. The small size measures at 30 inches tall and 19 inches wide, while the large one is 42 inches tall and 22 inches wide. From these measurements, the boards would be perfect for people weighing between 100 and 150 pounds. However, with this board you’ll also need to use a bit of wax to make it stay in place as the grips are a bit on the iffy side. All in all, a great buy for those who just want an occasional skim, one of the best value for money deals for sure. Up next – another Wave Rebel board. This one also delivers the same quality and riding experience as its colleague, but this time we are looking at a hardwood cross laminate piece. Once again, it’s sturdy, strong, and perfectly suited for the less skilled boarders. Additionally, the board sports an epoxy coating to minimize the damage from all the physical factors. Do note that this fella is geared towards a bit heavier people, folks who weigh between 120 and 180 pounds. So if your question is “What’s the best skimboard for heavy beginners,” this fella is it! 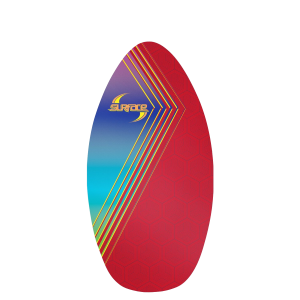 Last but not least, the Lucky Bums Skimboard is just what the doctor ordered when you have a serious craving for some skimming! It’s made of plywood with epoxy coating and comes with a lifetime warranty. 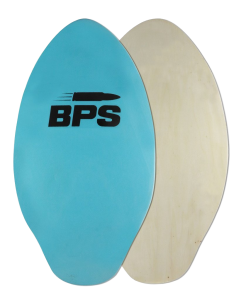 The board is 39 inches in length, making it fall into the category of medium-sized boards, perfect both for beginners and experienced skimmers. So if you’re not all that new to skimboarding, and consider yourself an intermediate boarder, this is a valid choice. We are looking at a flat sand type, giving a distinctive feel during the ride. Lastly, the makers of the board care greatly for the customers and their opinions, so if you are experiencing issues, make sure to contact them – they will respond quickly and professionally. We hope you learned something new here about the topic at hand and what makes the best skimboard for beginners. It now comes down to jotting down your personal preferences and spending budget in order to single out your perfect match. 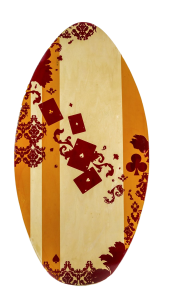 But you can rest assured that as long as you are looking for a newbie skimboard, any of these purchases you will not regret making.